The legendary Peking to Paris Rally presents a real test of endurance for historic and vintage cars. 96 cars from 26 countries competed this year travelling half way around the world from the starting point at the Great Wall of China to the finishing point at Place Vendome, Paris. The event covered 7,610 miles in 33 days, including 620 miles of punishing Time Trials. 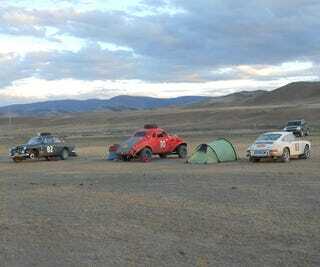 It is widely regarded as one of the toughest rallies of its kind. Our Chairman, Peter Lovett and his friend Tim Smith (co-driver) participated in their 1965 Porsche 911. The Peking to Paris Rally saw Peter and Tim travel across the Gobi Desert in Mongolia and then on to Russian back roads to Ukraine, Slovakia, Austria, Switzerland and, eventually, France. Peter and Tim completed the rally in 237h:49m:22s and finished second place overall. They also won 15 out of 16 stages in the European section of the rally. Well done Peter and Tim!